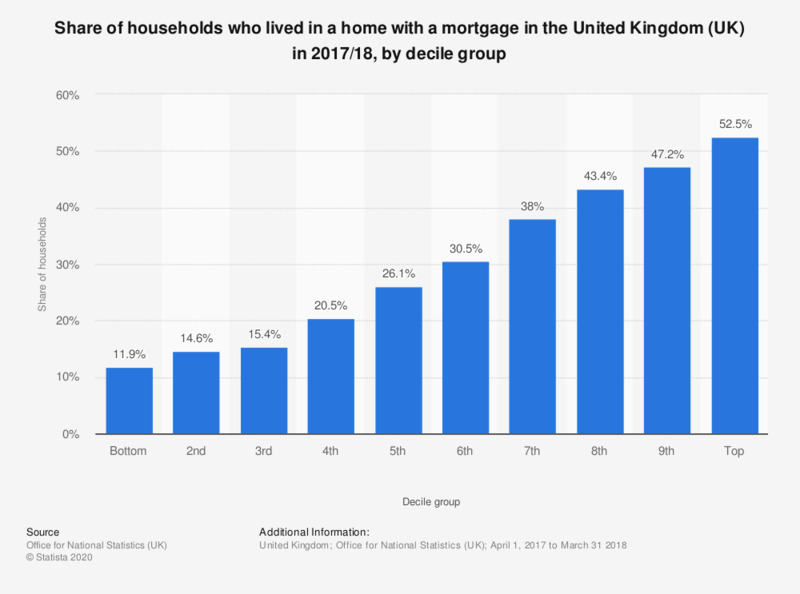 This statistic displays the share of households who lived in a home with a mortgage in the United Kingdom (UK) in 2017/18, by decile. Approximately 53 percent of the households, in the top decile, lived in a home with a mortgage. This was the highest share of any decile group, whilst only almost 12 percent of households in the bottom decile in the UK, lived in home with a mortgage, which was the lowest share of any decile group.